A man bought a lottery ticket in South Portland and discovered he had won half a million dollars! HALLOWELL, Maine — December brought a exciting end to 2018 for over two dozen lucky Maine lottery players! 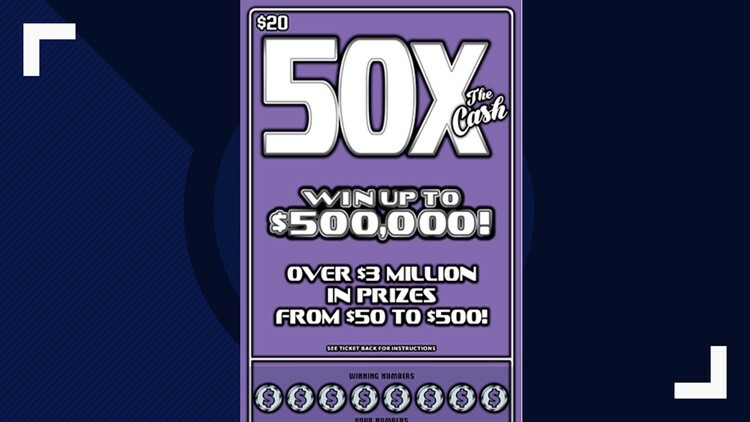 Lawrence Trudeau of South Portland won $500,000 after he bought a "50X The Cash" ticket at the Circle K store on Main Street in South Portland. Angelo Nacri of Lewiston won $250,000 in the $10 million "Cash Blast" game. He purchased his ticket at Rooper's Beverage and Redemption on Sabattus St. in Lewiston. 29 players took home nearly two million dollars total in Maine Lottery game winnings in December.